The black & white are in various forms all over the page, including the doily which is black. the hot pink and yellow are complimentary colors, and I love the single splash of turquoise already on the background paper. I even used a photo frame, but turned it into a shaker filled with sequins. In lieu of journaling, I found 14 word stickers in my stash that are adjectives describing bits of his personality. I went outside my box on this one. 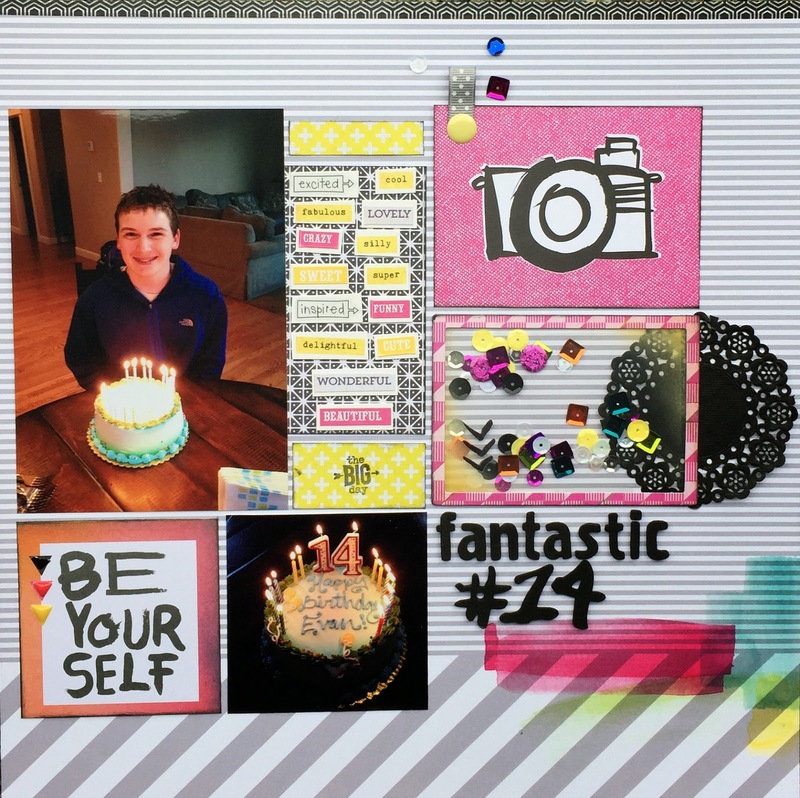 As my son gets older, I'm finding myself wanting to find new ways to create his birthday pages. I like that these papers and embellishments are a little more modern. I do have to say it was inspired by a page kit I purchased a while ago from EmbellishOnline. Thanks as always, for stopping by my creative view today. It's always a bit crazy around here. Check back again soon.